WOW! 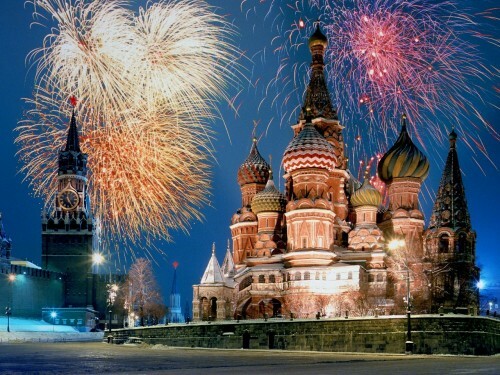 Cheap flights to Russia: London-Moscow for only €51! Air Baltic now offers super cheap flights to Russia! Return flights from London Gatwick to Moscow Domodedovo are now available for only €51 / 42 GBP! This is amazing price even if you don’t live in London and would have to book connecting flight. You need to stay one night in Riga for the stopover but this just makes it more interesting for all travelers – you can visit 2 countries in one trip! Return flight has just short stopover with no need to stay for night. Travel dates are from September 2014 until April 2015. Don’t forget about the visa to Russia. Book via AirFastTickets to get this price, regular price on AirBaltic website is €113. Moscow is rather expensive city which is reflected on the prices of accommodation. You can get some nice deals though if you do not need to stay in the city center. Moscow is very cold in the winter and very hot in the summer, so you should be able to enjoy your summer break just with light clothes, shorts and t-shirt is perfectly fine in summer. « Cheap flights to Asia: Thailand and Malaysia in one for €429!